THE 2019 CSA PROGRAM ENROLLMENT IS NOW OPEN! SIGN UP BY MAY 1st AND SAVE $25! CSA stands for Community Supported Agriculture, and CSA shares are a great way to get local, affordable produce directly from a neighborhood farm. By signing up for a CSA share in the spring, you can provide a farm with up-front support and a partnership that will last all season. Once the payment is taken care of, all you have to do is show up every week during the harvest season and pick up your food! 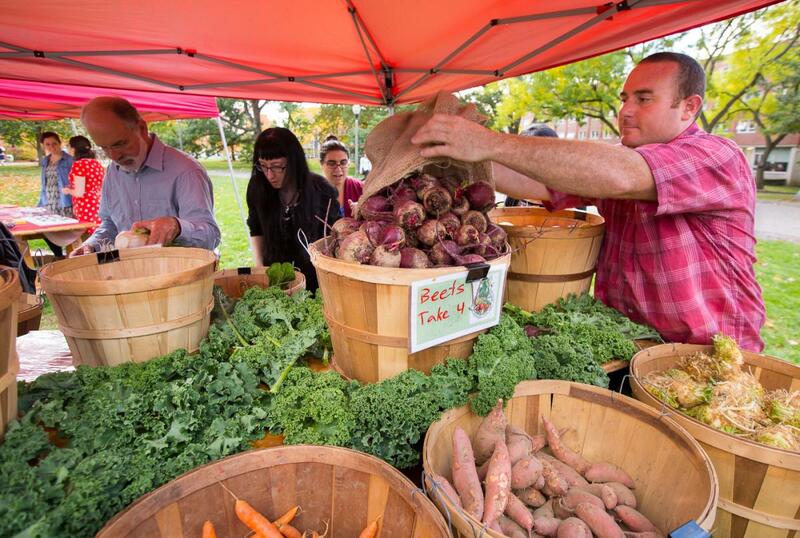 The Student Farm offers Fall CSA shares to the campus community every year, enabling students, faculty, and staff to purchase a share in the farm and pick up over 25 pounds of fresh organic produce every week for ten weeks (September through November). The total retail value of the ten week share is $700. $360 for a full share for students and $390 for faculty and staff full share: ($150 deposit with the balance due at first pick up in September). We are now offering half shares as well $210 for students and $225 for faculty and staff. EXCLUDES DEPOSIT AND EARLY BIRD! 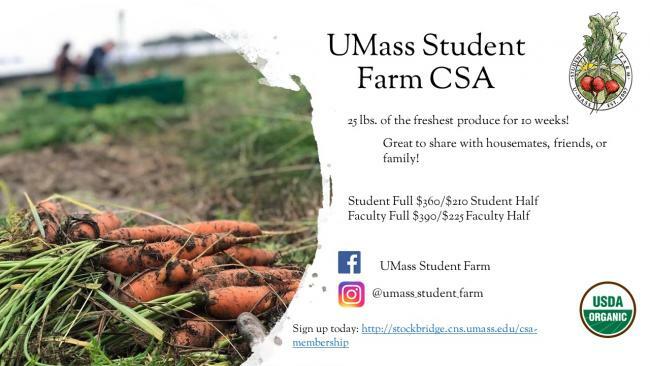 Please consider becoming a Friend of the Student Farm and signing up for a $500 CSA share - your pledge will help support our very real summer student labor costs. We are also now accepting credit card payments -simply follow the link below to sign up and choose you payment method.